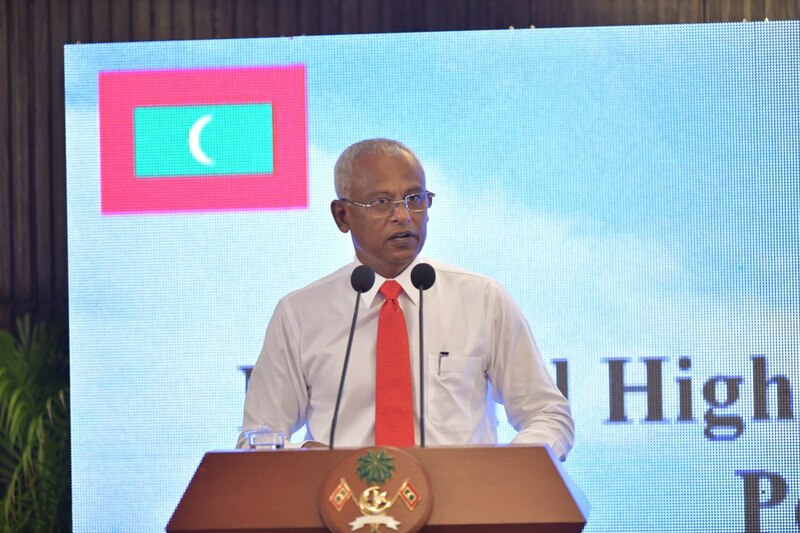 President Ibrahim Mohamed Solih has reiterated his administration’s commitment to promoting Islam’s central message of peace through respecting and accepting differences. The President made this statement in his remarks delivered at the opening ceremony of “The National Dialogue on Promoting Peace and Security”. Noting the urgency of the matter, the President noted that terrorism and extremist ideologies affect communities throughout the world. He pointed out that initiatives such as the National Dialogue on Promoting Peace and Security are key to identifying the causes of violent extremism, and the best ways to address them. Highlighting the need to maintain the Maldives’ peaceful identity in the international community, President Solih expressed his hopes that the dialogue that began today will yield tangible policy measures, which would enable to further the cause of peace and security in the country, and in the Indian Ocean region as well. He also noted the importance of multi-stakeholder approaches to tackle global terrorism and extremism. Speaking at the ceremony, President Solih stated that similar to the damages caused to the country’s peace and security, extremism also has a serious social impact on the community. He noted that there was no benefit in encouraging extremist behavior that lead to dispute and instability within the society. Further, the President urged everyone to be free from extremism, and to uphold the country’s peace and harmony. He noted that every country where there is no war is not truly peaceful unless there is unity, empathy and compassion among its people. 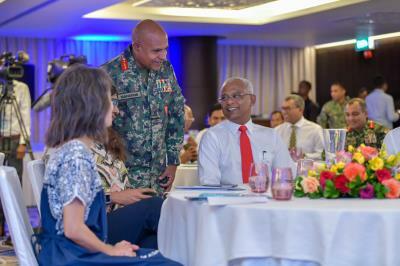 President Solih also pointed out that without establishing peace among us within the country, we would be unable to seek peace elsewhere.